"Let Me Love You" is a song recorded by French electronic music producer DJ Snake, taken as the third single from his debut studio album, Encore. It features vocals from Canadian singer Justin Bieber. The song "Let Me Love You" is written in the key of C minor with a tempo of 100 beats per minute in common time. The artists co-wrote the song with Andrew Watt, Ali Tamposi, Brian Lee, and Louis Bell, while the song's production was handled by DJ Snake. The song was released on 5 August 2016, through Interscope Records. In the United States, "Let Me Love You" debuted at number 12 on the Billboard Hot 100. 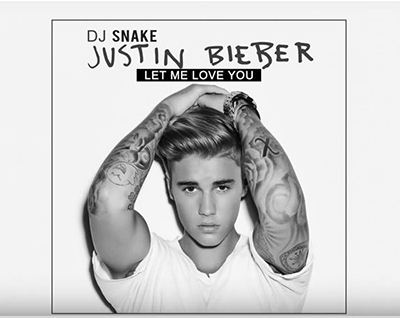 The single opened at number-one on Digital Songs with 113,000 downloads, becoming DJ Snake's first and Bieber's sixth number-one on the chart.